If you’re looking for a way to de-stress and feel better, Hemp Bombs is here to help. All products are designed to promote premium relaxation, but CBD Vape benefits are numerous and ideal for reducing anxiety and promoting good health. 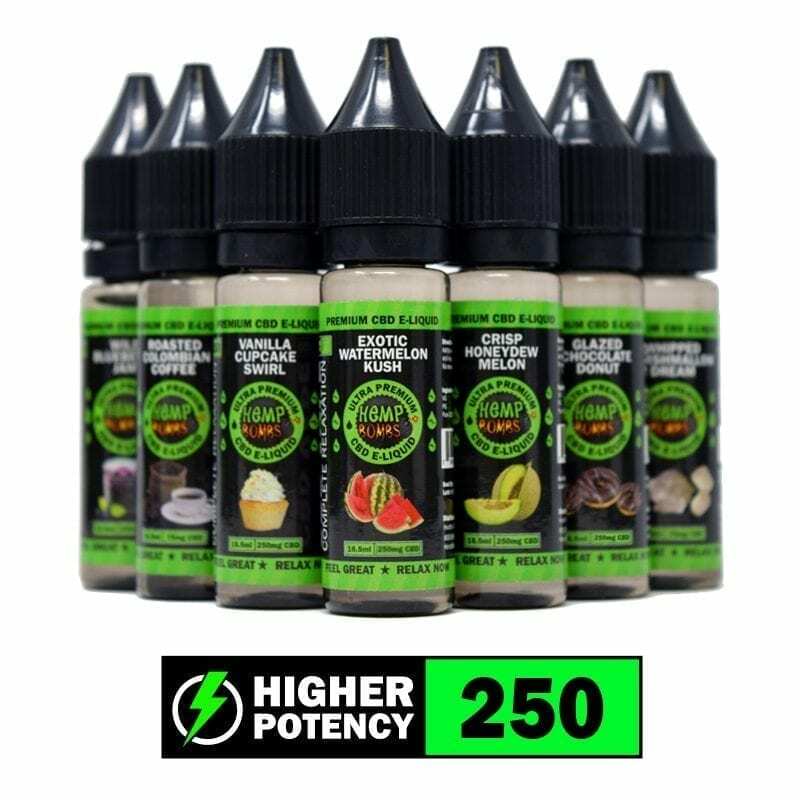 CBD E-Liquid is safe, beneficial, and THC-free. Hemp Bombs is a leader in the CBD industry because of our commitment to quality and innovation. We're constantly making changes to our CBD Vape flavor line to make sure you have a prime number of options. Additionally, our CBD is derived from organic Industrial Hemp, and we never use unnecessary additives. CBD Vape benefits you because of our VG/PG split, which is designed for maximum cloud production, and the health benefits of CBD. It is federally legal, and CBD Vape benefits your mind and body in a number of unexpected ways. Read more to find out 5 of the most relevant CBD Vape benefits. Many cities throughout the United States have banned cigarette smoking because of widespread concerns about the potential dangers of secondhand smoke. Additionally, cigarette smoking has become less popular as the general public learns more about the health complications associated with nicotine. Many people have taken to vaping instead, which produces steam instead of smoke and can be enjoyed with or without nicotine. At Hemp Bombs, we take it a step further with our CBD Vape Oil, which has no harmful additives and can promote overall wellness. CBD Vape benefits are numerous, but one of the most relevant upsides is that vape pens are convenient and discreet. In the United States, tobacco is linked to more than 80 percent of lung cancer cases. Even if someone doesn’t develop cancer, they’re at a higher risk for diabetes, heart disease and more serious conditions. Hemp Bombs CBD Vape benefits your body instead of harming it — and that’s because of the all-natural properties of the primary compound in our products. While CBD Vape benefits you, it isn’t a medicinal experience. In fact, you may find yourself enjoying CBD Vape benefits just for fun! We have more than 12 CBD Vape Oil flavors to choose from, ranging from Exotic Watermelon Kush to Arctic Spearmint. You can even mix-and-match to try different flavors and decide which one you like best. CBD Vape is known to have an calming effect for individuals who suffer from anxiety, physical pain and sleep disruption. Many people find the actual act of vaping calming and enjoy the soothing effects of CBD Vape benefits before bed, upon waking up or even during the workday. 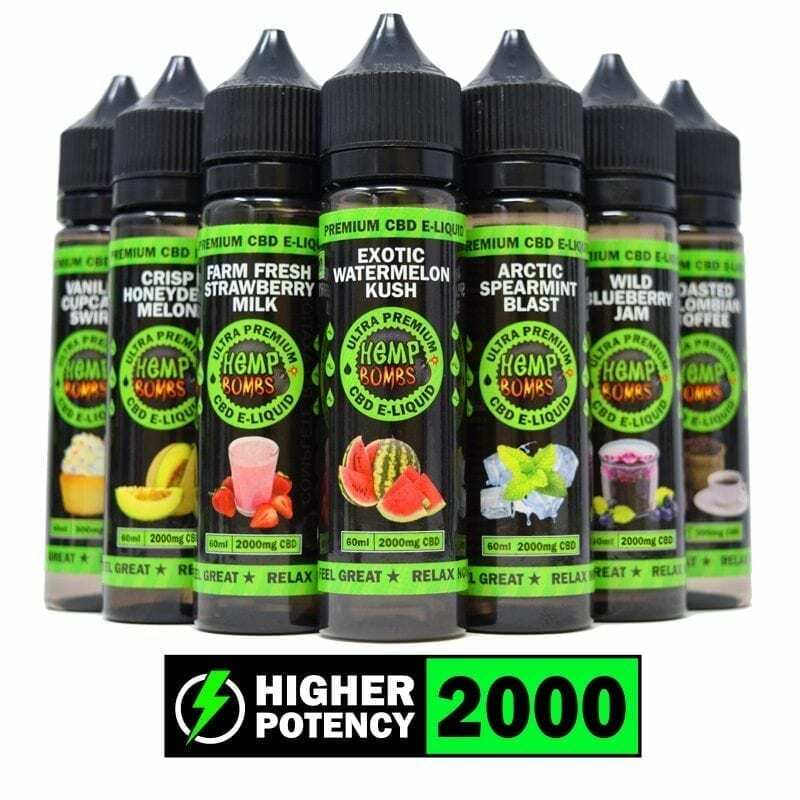 Hemp Bombs products all come highly recommended, but CBD Vape benefits you in a different way — it gives you something to do as you wind down. Hemp Bombs provides quality manufacturing and third-party testing with every product we produce. We want our customers to order with confidence, and you can be assured that you’re receiving a quality product with the same dosage of CBD every time you order. 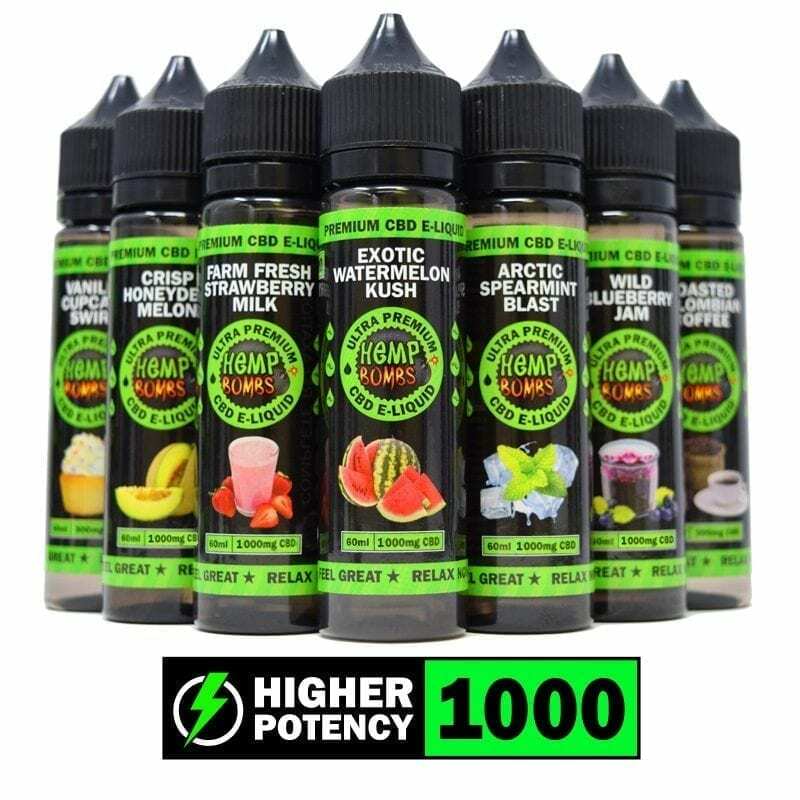 If you want to experience CBD Vape benefits, Hemp Bombs is the premier company to order from.